It's the first in a series looking at other takes on Batman in other countries, influenced by the 66 series. We start with Betmen, a Turkish film that, on inspection, clearly should have been a spy film, perhaps even a James Bond one. John is joined by independent filmmaker and the 1966-1968 Television Batman Facebook group moderator, Robert Long to discuss this film which, despite its flaws, is actually better than one of the episodes of the 66 series (Gasp! Blasphemy!) The two discuss the oddness of the stolen American soundtrack, but the lack of Batman theme music in the movie, the strange obsession with long, ponderous walking shots, and how Robin is in many respects a faithful adaptation of the character while Batman is simply horrible. It's all here and we hope you'll enjoy this diversion, but we do warn you that the nature of the film is not family friendly and as a result, the discussion is not entirely either. Listener discretion is advised. Robert Long is a full time grapgic designer and independent filmmaker. 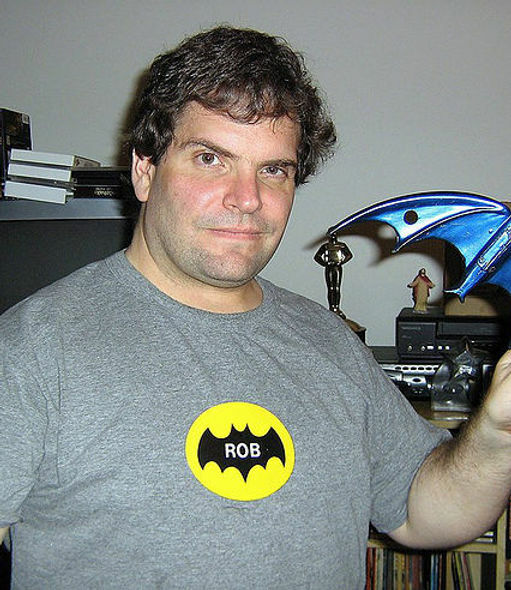 As a first generation Batman syndication kid, he manages the 1966-68 Batman Television Series Group on Facebook. He has had the pleasure to meet and work with Adam West and Julie Newmar with various projects in the past. Visit Robert's production company - Smash or Trash Independent Filmmakingto learn more about it.